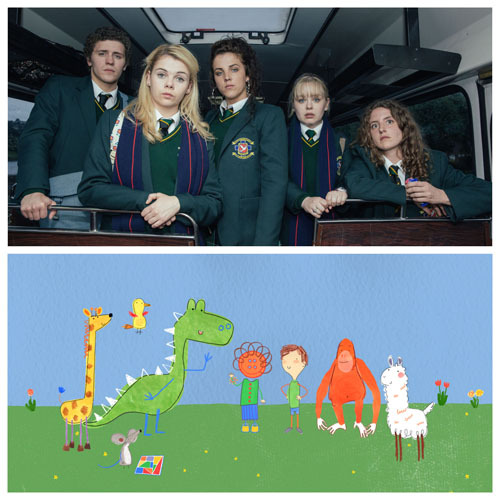 Congratulations to two projects made in Northern Ireland with funding from Northern Ireland Screen, which won at the Broadcast Awards 2019 last night (6th February). Derry Girls, from Hat Trick Productions, won in the category of Best Comedy Programme. The Channel 4 drama is a candid and family-centred comedy from writer Lisa McGee, set during The Troubles in Northern Ireland. Pablo from Paper Owl Films won in the category of Best Pre-School Programme. Pablo is a ground-breaking animation, which tells the story of a five-year-old non-verbal autistic boy and his adventures in the animated world which help him deal with life in the real world. The stories from the hit series are all based on experiences of those with the condition. Pablo can be viewed on CBeebies in the UK and RTÉ in the Republic of Ireland. The awards took place at London’s Grosvenor Hotel with host Harry Hill.